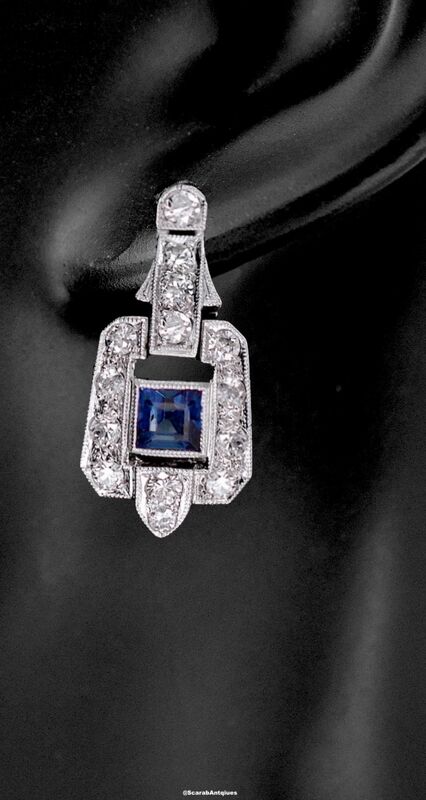 This is a superb pair of Art Deco earrings. 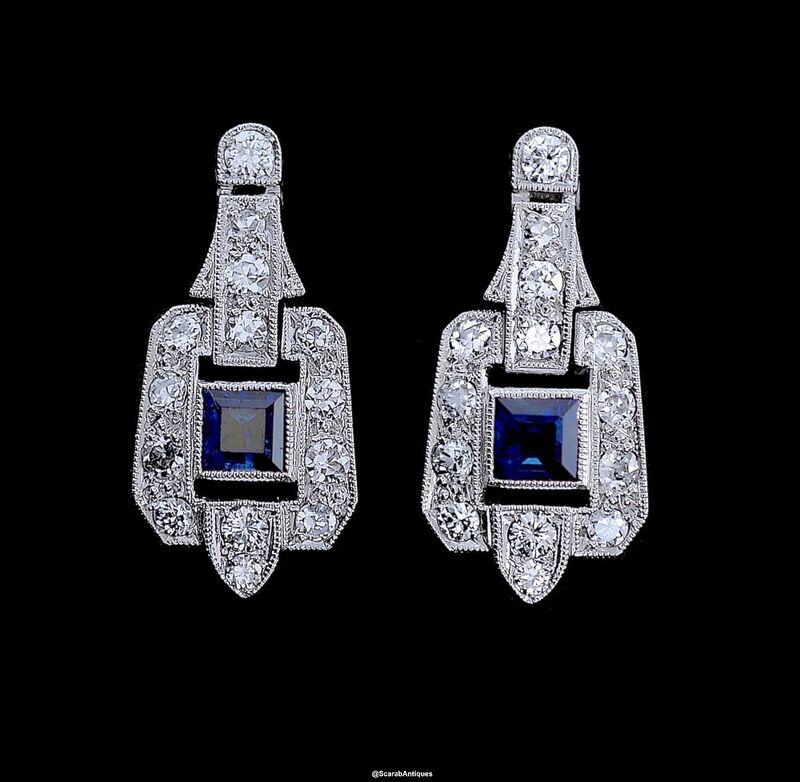 At the top of each 18ct white gold earring is a round diamond in a mille-grained setting below which is a diamond set mille-grained bar below which is a diamond set frame within which is a square sapphire. The earrings are for pierced ears.